In canada it’s a daily staple but how often do you get a shot of warm, aromatic maple syrup? 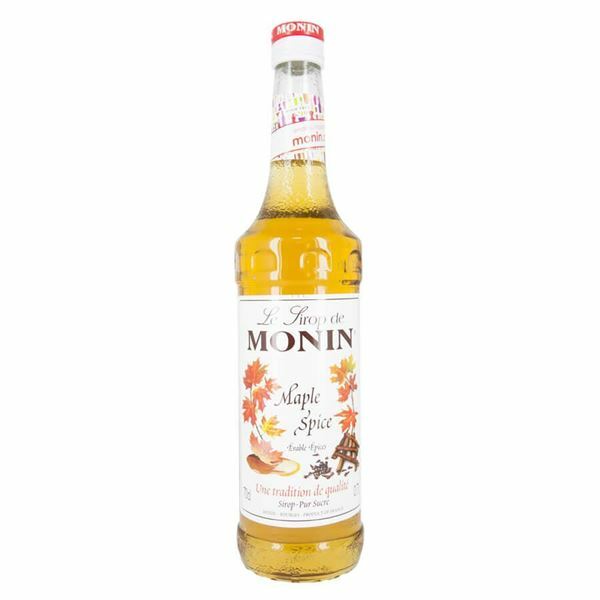 monin maple spice syrup is a distinctively sweet and aromatic, with hints of cloves, cinnamon and even gingerbread. the richness of the syrup means you may only need a drop or too to instil a really sweet and maple-inspired depth to your drinks. ideal for liqueur coffees and dessert-style cocktails, with more depth than sugar syrups, monin maple spice syrup adds flavour as well as sweetness.